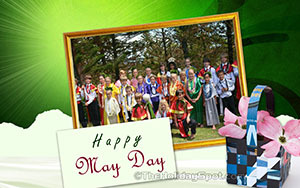 May Day wallpapers. Choose from the thumbnails, and set on desktop. 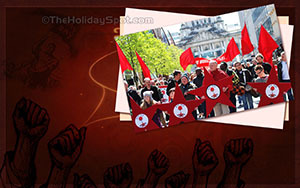 Exclusive May Day wallpapers, just for you! Click on the size you need, and you will have to get ready in a new window. Remember to refer this page to your friends, so that they could gift their PC too, with these image. 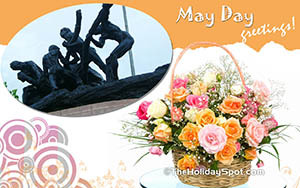 Happy & flowery May Day and enjoy! 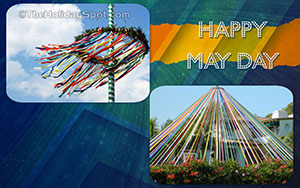 It is very easy to install these pretty May Day wallpapers. Simply click on any of the links alongside any of the wallpapers given below and choose it in the size you want for your desktop. Once the image loads fully in a new window; right click on it and select "Set as Desktop Background". 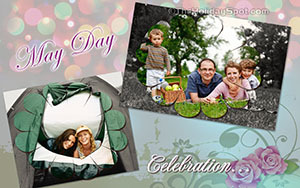 Celebrate May Day with TheHolidaySpot! Clicking on the thumbnail image of your choice below will open the wallpaper with the size of your device size in bold. Click on that to obtain the background of your choice. Click here for WideScreen, PC, Laptop, Ipad and tablet sizes in high definition.